BOINC core client version of 5.12.0? Message boards : Help! 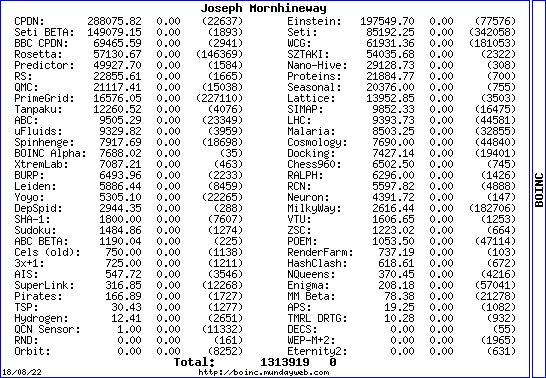 : BOINC core client version of 5.12.0? 29/07/2007 14:47:57|Pirates@Home|Message from server: Starting in 246 days and 14 hours, project will require a minimum BOINC core client version of 5.12.0. You are currently using version 5.10.13; please upgrade before this time. http://boinc.berkeley.edu/download_all.php doesn't list v 5.12.0. Can anyone shed light on this please? Message 6378 - Posted: 30 Jul 2007 | 16:27:02 UTC - in response to Message 6373. Don't worry, they're prob'ly just testing something. In any case, you now have 245 days, by which time BOINC v6 may well be out anyway. 9/26/2007 11:48:33 AM|Pirates@Home|Message from server: Starting in 187 days and 12 hours, project will require a minimum BOINC core client version of 5.11.0. You are currently using version 5.10.20; please upgrade before this time.